The X500R QTOF system changes all this. 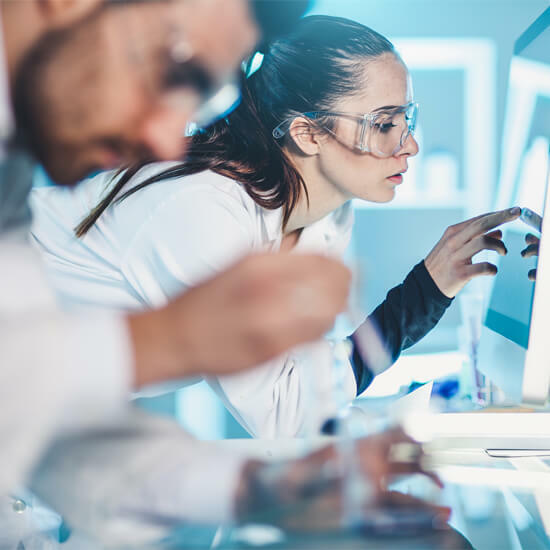 With simple workflows, robust hardware, and end-to-end balanced performance, the X500R QTOF is the first high resolution LC-MS/MS system designed for routine testing to deliver exceptionally reliable results. 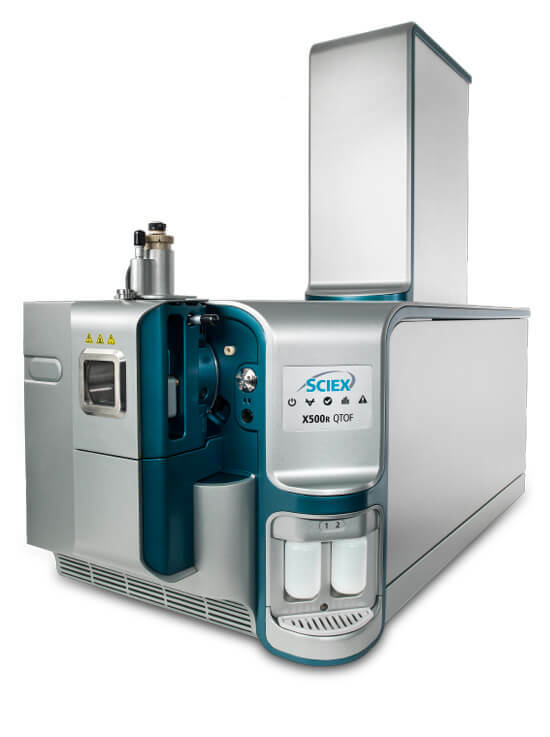 Made for high throughput food, environment, and forensic testing labs, the X500R QTOF system was designed for performance so you can simplify screening and quantitation of unknowns in complex samples. But, it is more than just a mass spec. The X500R workflow ensures a seamless implementation for your lab. From methods to support, SCIEX has all the tools you need to maximize your success. 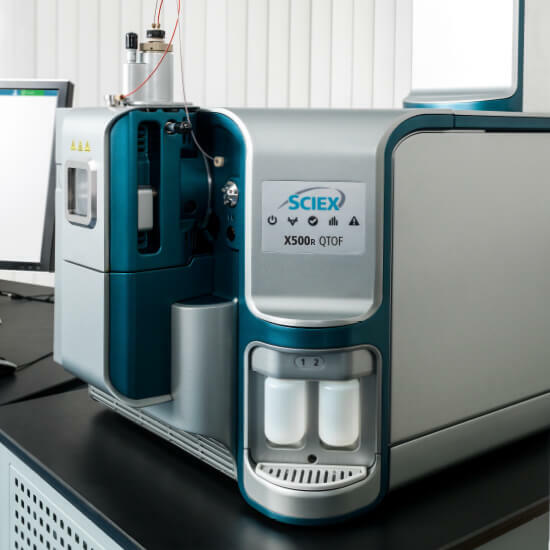 Check out how SCIEX customers are using the X500R QTOF System in these scientific publications. Meet today's objectives and tomorrows opportunities with this rugged and robust high resolution mass spectrometer. The X500R QTOF can handle your most complex matricies without compromise. Achieve trace level quantitation with MRMHR and unrivaled general unknown screening with SWATH® Acquisition. 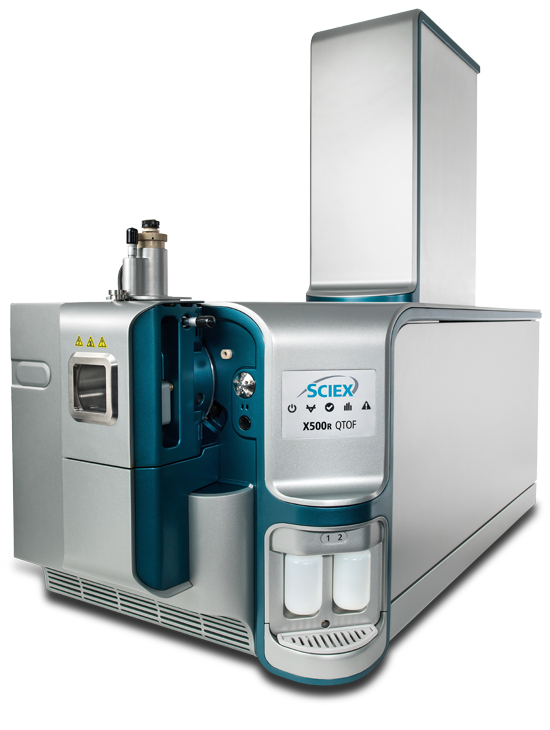 SCIEX OS Software on the X500R QTOF system is highly intuitive, accelerating data collection and simplifying data processing for technicians of any skill level. Reduce backlogs and deliver results on time. The X500R incorporates Turbo V™ technology which enables your lab to see the key analytes in the most challenging of samples. Mass Range TOF Up to 40 kDa. Precursor ion selection: 5-2250 m/z. Expand the potential of your laboratory and deliver comprehensive sample analysis. 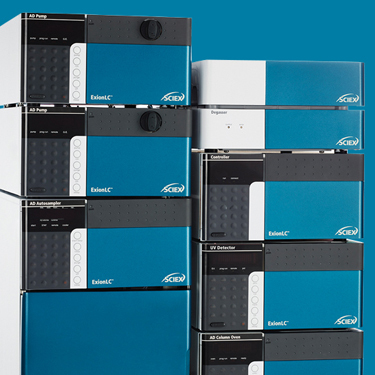 The X500R QTOF system is a high resolution accurate mass LC-MS/MS system designed for high throughput testing. Analytical flow LC with superior expandability, robustness and carryover performance. Dramatically enhance the quality of your analysis with high resolution and QTRAP® libraries. Detect a comprehensive suite of familiar and novel psychoactive forensic analytes in whole blood or urine. Six heater drones throughout the TOF path ensure that the system maintains mass accuracy even through longer runs. Quick and easy QJet access enables fast and efficient maintenance, so your instrument is up and running virtually all the time. Renowned ionization performance from the Turbo V™ source is now delivered with a high-resolution accurate mass analyzer. The N-optic design with 4mm orifice leading into the TOF accelerator tube delivers resolution without compromising sensitivity. Occupies less lab space than any other HRMS on the market today (110x57x112cm). Stability through long runs Six heater drones throughout the TOF path ensure that the system maintains mass accuracy even through longer runs. Superior instrument uptime Quick and easy QJet access enables fast and efficient maintenance, so your instrument is up and running virtually all the time. Robust ionization in complex samples Renowned ionization performance from the Turbo V™ source is now delivered with a high-resolution accurate mass analyzer. Never compromise on performance The N-optic design with 4mm orifice leading into the TOF accelerator tube delivers resolution without compromising sensitivity. Requires very little precious lab space Occupies less lab space than any other HRMS on the market today (110x57x112cm).